April 19, 2017 - See a giant panda in China that has made a major breakthrough in the preservation of her species. 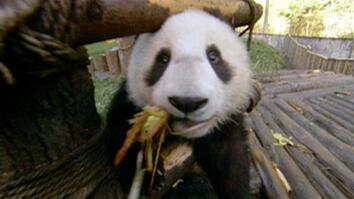 Zhang Xiang, a captive-bred female giant panda, was released in the wild in 2013. She has been observed moving to a population in a neighboring region. This marks the first time a captive-bred panda has moved from one population to another. 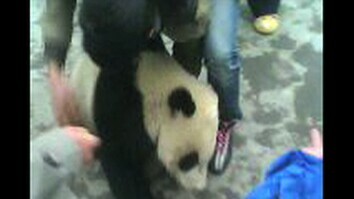 It’s hoped that she will mate with one of the wild pandas from the local population, a goal of China's release program. Since 2003, China has trained and released seven giant pandas into the wild, two have died. Click here to read more about Zhang Xiang. Click here to watch a video about the complications of raising cute pandas. 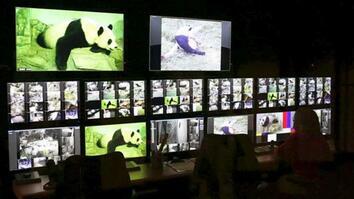 Click here to read more about China's giant panda release program.